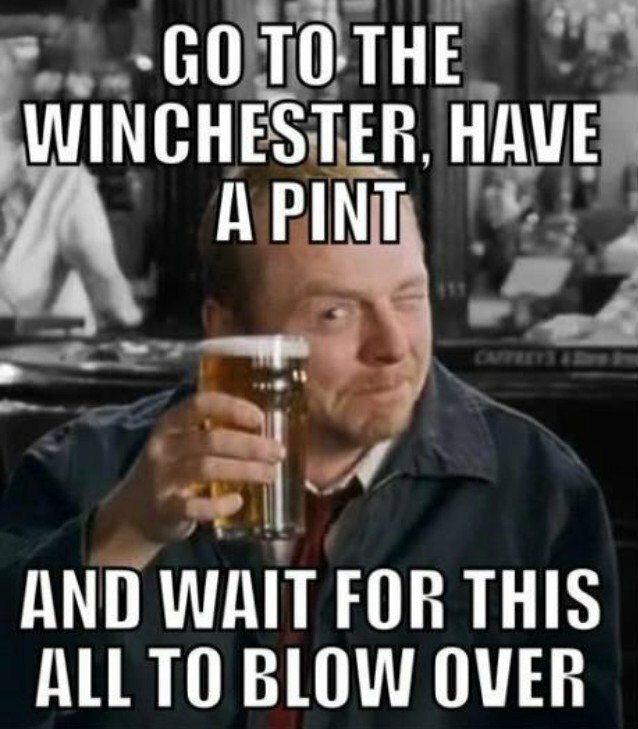 Keep Calm and Carry on, or should we be panicking? Is it really the end of Contracting within the Public Sector? So yesterday (23rd November 2016) was Philip Hammond’s first ever Autumn statement. And just like his predecessor in his last Budget statement, there was no mention of IR35 and contractors in general. In case you are wondering why, what is going on? Basically the government and the HMRC having been going all out on tax evasion. Ever since MP’s have been exposed in fiddling their expenses, It has now come to the point, that if MP’s are fiddling their expenses, then contractors must be doing the same, and while we’re at it, we’ll see if they are paying the correct tax. So for the past few years, contractors and the self employed have now been under scrutiny regarding the correct payment of tax. Many of us have been burying our heads in the sand, hoping that this will become too complicated to solve. But in that time various loop holes have been closed. VAT has increased, dividend payments have been reduced and corporation tax has also increased. So for the average contractor like myself, to survive has had to pick and choose their contracts wisely and also make sure they have the money in the first place to pay for their expenses to claim back and the recycle each week. Hence why I have been stupid enough to travel over 1500 miles a week and splitting between public transport and my own transport. As it stands, contractors and the self employed can offset their tax by claiming back on certain expenses, such as 45p a mile for the first 10,000 miles and 24p per mile thereafter. They can claim back on stationary items, subscriptions, computer hardware and software, meals, time away from home, business insurance and also a few other things. During these years, it has been argued that contractors are disguised employees as they still get told what to do by their client, and therefore shouldn’t be really claiming some of these expenses and therefore should be on PAYE. But contractors at present have to pay 20% corporation tax (16/17), they have to pay between 8% and 14% VAT every quarter. They have to pay for public and professional indemnity insurance every month, as well as accountancy fees and of course now. A company pension. Which is a lot of deductions. Contractors don’t get holiday pay, or sick pay, and they don’t get paid for Bank Holidays. Yet there is this misconception by perm employers and employee’s that contractors get more money than a perm. Well if the contractor was employed for 52 weeks on the same rate of pay as their perm counterpart, didn’t have any sick days or holidays, but only had the Bank Holidays off. The contractor would probably earn slightly more than their perm counter part. But only if their expenses were of a high amount to offset the tax. It is proposed that 2017 will see significant changes to contracting. Especially those who work in the Public Sector. Of which over the past 24 months, the public sector has seen pay rate caps brought in and daily rates of pay have been slashed. Of which now fall way below private sector rates of pay. Some NHS Trusts are now moving away from using contractors and recruiting within to fill higher band roles, and then advertising for Band 5 jobs, but at what used to be Band 6 and Band 7 job descriptions and requirements. And if any Band 6 or above roles they are recruiting for are now advertised as 12 month fixed term roles via the trusts payroll. I saw a few weeks ago that a Commissioning Support Unit, are now operating their own Bank Staffing system, to eliminate the use of the agencies and contractors. And asking for various people from care staff to Finance accountants to register. So come April 2017, will we see the end of main stream contracting within the Public Sector which includes the NHS, Civil Service, MOD and Councils? I don’t think so, but what I do reckon will make a comeback is that the contractor has to be on the agencies payroll. After all most high street agencies still operate interim staff on their payroll. So for some contractors like myself, this could be the end of our career as being a managing director of our own Limited Company. This could be the end of us putting in a generous amount of money each month into our pension funds of which the Government helps to top up by 25% if we put in a set amount. For me, I have been contracting in the NHS for a long time. When I came out of University, I registered with various High Street Agencies in my birth town of Nottingham, so I could gain IT experience, so I could find a full time job. And when I did find a perm job, which was that of a COBOL programmer, which relied on what I learned at College for two years, and nothing at all what I did at Uni. Only to be laid off and then tuped across to the sister company. Only for me to be given the boot due to 9/11. Of which I then went back to High Street Agencies, and then fell into the NHS purely by accident again using what I have learned at college and not at uni and then found the world of main stream specialist agencies and generous daily rates of pay. Which led me to become a composite company until April 2007 when Gordon Brown abolished them. For me then to become an umbrella company where I was paying PAYE and allowed to only claim travel expenses, as I wasn’t earning enough to make it pay being a Ltd company. Then Umbrella Companies ceased, and I had to become a Limited Company, Of which by then I was earning above what my accountant stated to be a threshold (£225 a day) to work on, due to corporation tax, vat, accountancy fees and NI, along with business insurance. Anything less, then I would have to be a sole trader. However I had a slight problem there. Many agencies do not like to work with sole traders. Partially because of Section 134 of the Income & Corporation Taxes Act 1988. Which states that as a sole trader you are expected to have multiple clients and a number of different sources of income, as this meets the HMRC’s definition of self employed. However….. This is rather farcical. Because most NHS contracts now via agencies are for 12 weeks. 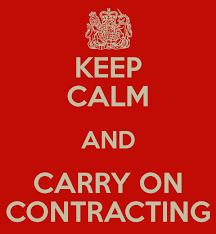 So therefore if you have 2 or more 12 weeks contracts in a year with different agencies and different NHS trusts. Doesn’t that class as multiple clients and a number of different sources of income ??? With the pay caps in place and now the issue of contractors being restricted to work in the NHS, I have been speaking to some recruiters who have been working on NHS accounts, and have in the last few months left various agencies after working with them for a few years, and have seen a decline in requirements within the NHS and are now working for different agencies and concentrating purely on the private sector. So my options have now become limited. With no two NHS trusts being the same, I have not been exposed to various systems and tools. So do I bite the bullet and apply for perm roles within the NHS that are local to me, of which for the past few years, my annual salary has exceeded that of a Band 7 and has been more inline with a Band 8a and 8b, which has allowed me to acquire a mortgage, or do I start looking to see if there are any private healthcare companies looking for contractors, who can take advantage of the shortfall that will occur within CSU’s and offer competitive services. Or do I keep trying to break into the private sector. And hope that someone can take a chance on me where I can turn my weaknesses into strengths…. Other contractors who predominately work within the private sector, will be much better off. At the time of publishing this, I have been out of contract for 6 weeks. And every day applying for roles within the private sector.